The Mattabassett District's Bonding Cost An Alarming Increase! This past January 12th. 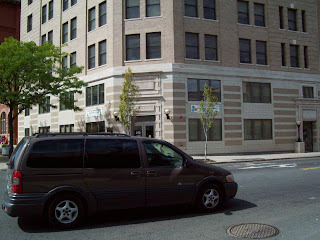 I posted a blog entitled “The Mattabassett District Costly Venture”. I quoted a newspaper account that the District’s Board Chairman had sent a letter to the Federal Government requesting financial grants for a sum of $80,000,000 for the district’s denitrification project which is mandated by the state’s environmental protection agency. I continued by stating that the district’s charter ALLOWS the directors to enter into agreements for the acceptance of waste waters from abutting areas and also pointed out that the district has the authority to issue bonds for the cost of the proposed project. I pointed out in the event that no state or federal funds are made available to the district for this project an $80,000,000 bond might be issued and I based this cost by using a 4% interest rate costing the district $116,348,220 with New Britain’s share being $81,443,754 representing an annual cost of $6,786.979 per year for a twenty year period. At this week’s Common Council meeting of the City of New Britain the city’s bonding attorney informed the Council that the current interest rate for bonds is approximately 6%. Shockingly, that would mean the above figures would simply change by using a multiplier of all the aforementioned figures 1.5 times to get the new figures for the six percent change. New Britain’s annual cost would then change to $10,180,468.50 per year for the twenty year period. 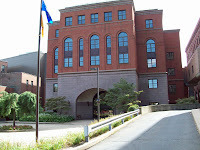 I certainly hope that the Mayor Stewart’s administration of our city is fervently working in lobbying both the state and the federal agencies for public grants in order to provide all or a large portion of the funds needed to comply with the state’s DEP mandates at the sewage treatment plant. FOI Commission rules for Herald - The New Britain Herald (newbritainherald.com)Sherwood's Attempts at the Hearing Rejected! The GOP Central Committee is in Town Has The Council Liberals Worried! We all know that the Mayor as the chief executive officer of our city must maintain complete order with his managers or department heads as covered in the city Charter section 5-3 [ a] with the roles of the city council members which comes under Article four of the City Charter. 1. Alderman’s Roy Centeno’s comment referring to the mayor’s letter; “It was a warning to all alderpersons that we can’t ask questions.” Well Alderman there is only one place you’re allowed asking questions of the Department heads and that is on the council floor and not by-passing the Mayor’s Authority and going directly to the department head and imposing demanding reports of his current activity and that of his employees as was requested by Alderman Gerratana via telephone. What is amazing is that Both Pawlak and DeFronzo served as former Mayors of the City and both know very well that the Mayor’s executive’s duties should not be interfered with in performing his elected duties. And they also know that the question time for an Alderpersons to ask of the Department heads is on the council floor in the open for all to see. With Alderman Centeno’s remarks does present a factual exposure similar to that of Catanzaros’ conflicts since he is employed by the board of Education along with his wife and is serving on the city Council which raise’s how can his employer mandate any direct orders to him being the identical case that Alderman Catanzaro presents in conflicts. I guess the election campaign has been started by the democrats with their mudslinging tactics because of being worried over the fact that the GOP Central Committee choice New Britain as there target by moving into town with their newly establish office. The Ultra Liberals on the council have a reason to worry in holding on to their seats on the City Council! I would like to remind everyone who operates a motor vehicle of their responsibility to yield the right of way to blind pedestrians. Sec. 53-211 of the Connecticut General Statutes requires the operator of a motor vehicle to “reduce speed or stop if necessary” to grant the right of way to a person using a white cane, a white cane with red tip, or being guided by a guide dog. Here in New Britain, we have several residents who are blind, and I have witnessed near misses when motor vehicle operators ignore them as they are attempting to cross the street. I have also stopped to yield to a blind person, only to have other motorists on the road pass me right in front of the blind person who is in the middle of the road at the time. In addition to it being illegal to park on the sidewalk, it is also very hazardous to blind persons whenever you park your car on the sidewalk. Blind people are trained to memorize their surroundings and they become familiar with the locations of sidewalks. When you park your vehicle in the middle of the sidewalk, this is very hazardous to them as they may walk right into the vehicle—causing them serious injury. This is not only rude conduct on your part, but you may also be civilly liable for any injury they receive as a result of your violating the law by parking on the sidewalk and causing their injury. As you can see from the photo, even some city employees need to learn to keep their vehicles off the sidewalk! Sec. 53-211. Use of white canes by others than blind persons prohibited. Vehicles to reduce speed, grant right-of-way. (a) No person, except one wholly or partially blind, shall carry or use on any street or highway, or in any other public place, a cane or walking stick which is white in color or white tipped with red. (b) Any driver of a vehicle who approaches or comes into the immediate vicinity of a person wholly or partially blind, carrying a white cane or a white cane tipped with red, or a person being guided by a guide dog, shall reduce speed or stop if necessary to grant the right-of-way to such person. (c) Any person who violates any provision of this section shall be fined not more than one hundred dollars. The Bristol Press BRISTOLTODAY.COM: Tell the new boss what you want! BRISTOLTODAY.COM: Tell the new boss what you want! 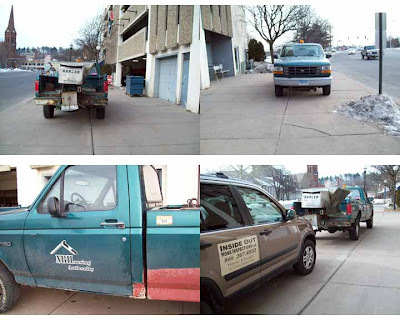 I have written emails on numerous occasions to the New Britain Housing Authority about their maintenance personnel parking the authority’s vehicles on the sidewalk. Some years ago a blind man walked right into a parked truck parked on the sidewalk by the Columbus Blvd. entrance to the garage and was sent to the hospital. I warned the Authority of this occurrence to no avail. A week ago I stopped to help a blind man who was attempting to cross the street, with the passing traffic ignoring his white cane, does indicate that there are blind persons walking on our sidewalks and with the continuance of parking the authority’s trucks on the sidewalk areas causes a horrible hazard to these handicap persons. When entering the D’Amato building subsequent to my taking the pictures shown herein, of the authority's vehicle, a Housing Commissioner was leaving the building with her gentleman friend raising no alarm to the parked truck on the sidewalk. Adding to this complex issue was allowing the home inspector, hired by HUD, to also park on the sidewalk. The complacent attitudes of the Housing Authority personnel should be redirected with a better regard towards people with the handicap I described. Much to my dismay I was able to read the story covering Mr. Schroder’s meeting and discussing of The Heralds’ future with its staff on the on line edition of the Hartford Courant which including comments made by the Herald staff reporter Rick Guinness. But the Herald was dark with its on line edition regarding Mr. Schroder’s staff meeting at the paper. 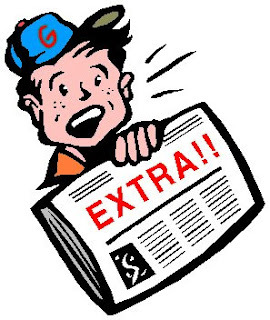 On the other hand The Bristol Press rendered additional information that was not only including the changes at the Bristol Press but did include information for the Herald as well with their Blog, The Bristol. Com, that there will be one circulation director for both news papers, Ms. Brenda Kelly, with Marc Levy continuing on as the editor for both newspapers. It is a very simple fact that the Herald must undergo a complete revamping in order to attract the return of its former readers since the newsworthy information it currently carries has very little valuable information for its readers to obtain. The Record-Journal of Meriden Has quoted Mr. Michael Schroder, the New Owner of the Bristol Press and The New Britain Herald, stating he planned to personally deliver today copies of two newspapers, one in Bristol and the other in New Britain, to their longest subscribers who have been receiving the papers for sixty five years continually. Proposed Legislation an Editor’s Dream! State Representative Chris Wright of Bristol, a democrat, in the 77th District is calling for the lawmakers’to allocate money in order to fund additional courses in broadcasting and communications at New Britain’s E. C. Goodwin Technical High School on Slater Rd. and at the Tunxis Community College. This announcement was made through the Bristol Press’s Staff reporter Steve Collins in answer to the request made by ESPN needing the trained students in the communications field for employment at their facility. This funding that is being requested for added educational programs will create great opportunities of employment for the Goodwin’s New Britain students and I hope that our state local representatives will support this legislation proposal. The PC Lounge of 14 Washington Street! 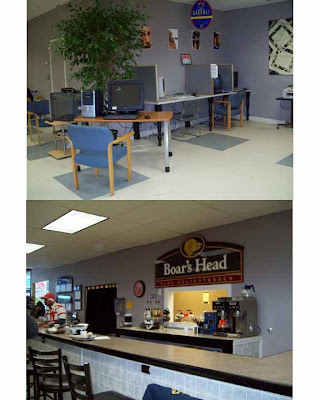 I have written about this business’ capability to provide excellent computer repairs, upgrades, and design of websites but neglected to illuminate their internet café section that provides a wide selection of food and beverages. They also not only provide take out orders but deliver orders without any surcharges for the additional service, nor does a minimum charge apply. While enjoying your meal you can also check your email with a computer made available for your use with a nominal fee applicable. In addition to their excellent menu, they also serve cappuccino, Latte, and Espresso. Quality Boar’s Head brand Meats are served. This is definitely a great place to visit for breakfast, lunch, and dinner sandwiches especially for those who happen to work downtown New Britain. 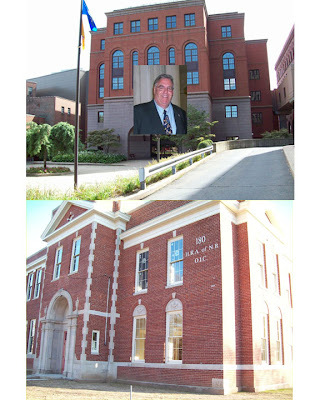 It is sad that the New Britain Ethics commission did not address the conflicts that Alderman Catanzaro exposes the city to by his being and Alderman, Board President of the HRA Agency and a city Employee all at the same time. As I have stated some four years ago in a local newspaper that he should resign from two of the positions. The Ethics commission of the city found that the Alderman violated two sections of the city ordinances and unfortunately did not raise the issue of the continued conflicts by the Alderman. Alderman Sherwood’s statement, after the meeting, that the Ethics commission should not be used as a political baton is outrages for a city Alderman to say especially when he is directly involved in attempting to draft a council resolution on “Ethics”. East Hartford Has Why Not New Britain? 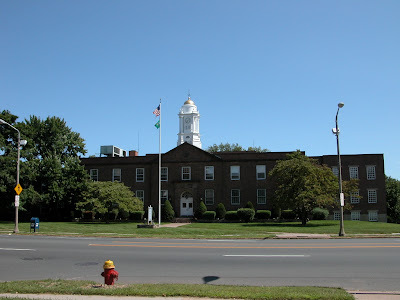 The Town of East Hartford announced it is laying off eight town employees and eliminating eleven position that were vacant in order deal with the current budget shortfall. Mayor Currey quoted by the Hartford Courant’s reporter Ms. Monica Polanco stated this move will save the town $882,321 in a year’s time. The Mayor has also asked the School board to cut cost. New Britain’s Mayor had stated he would establish a furlough system with the city employees at the East Side community meeting and has yet to set it up or make any public notice that it has been implemented. East Hartford has tighten its financial belt with layoffs and maybe the New Britain’s Mayor should take heed of East Hartford’s actions because we are in a horrible financial depression and our taxpayers cannot afford the suggested increase to the School board cost and the current city payroll without the furloughs the mayor mentioned he was going to implement. 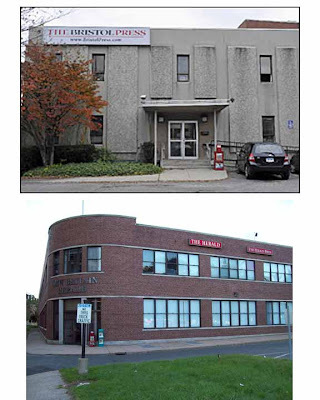 The Waterbury Republican announced that The New Britain Herald and the Bristol Press along with three weekly newspapers The Newington Town Crier, The Rocky Hill Post, and The Wethersfield Post have been sold to their new owner Mr. Michael E. Schroeder. It is great news for all the communities that these newspapers serve. New Britain's PARKING FINES ARE TOO LOW! It is long overdue for the City of New Britain to raise all of its parking fines to be more in line with area towns and even the State of Connecticut. The chart below demonstrates that the fines in New Britain are ridiculously low and in most cases are a small fraction of the fines established by the legislature and other are towns for similar violations. In fact, our fines are so low, that they most likely are costing the city money to collect the fines because a $10.00 fine most certainly doesn’t cover the costs involved: Printing of tickets, labor of an officer to write the violation, clerical costs to process the ticket, collect the fine and account for the money collected. I would guess that a thorough audit of the entire process would reveal that each $10 ticket costs the city at least twice that in labor and other costs. 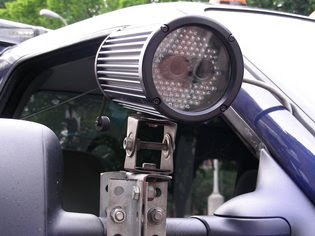 Additionally, since the real purpose behind parking violations is to deter the illegal parking, raising the fines together with tough collection techniques should have a definite deterrent effect on illegal parking. Hopefully the Mayor and the council will review this information and work to bring our fines more in line with the rest of Connecticut. ALDERMAN CATANZARO’S CONFLICTS OF INTEREST DESCRIBED TO HIM! About four years ago I wrote a newspaper article describing the fact that your being a city employee, coupled with your being an elected Alderman, created an absolute conflict of interest while serving in both capacities until such time as you resign one or the other. Your HRA connections were reviewed by the U.S. Dept of Housing and Urban Development and found that you were as an Alderman serving under the question of a conflict of interest since you are serving on the Board of the HRA city agency. Was your attendance at the farewell party held at the Stanley Golf Course Restaurant a conflict of interest since as an Alderman you heard HRA employees support retention of the same management at one of the council meetings especially when you voted for the retention of the same management opposing your boss’ comments, the Director of the city’s Parks and Recreation Department. Where you work and that of the Chair person of the Parks and Recreation Commission? Three of these positions you hold present the case for your conflicts and we have been long waiting for you to resign from at least two of these positions in order to eliminate your conflicts of interest. Instead you have been walking around as though you own city hall and no one dare oppose you because you act like you’re “God Almighty”. GOD help those who dare to oppose you such as the “author” of this article. Rumors have it that you are planning to run for the office of Mayor. Please be reminded that your God like attitudes may interfere with your successful campaign. You are the poster child for why municipal ethics reform is so badly needed, and since the municipalities are unable to bring reform on themselves, it desperately needs to be mandated by the state. New Thermal Imaging Cameras To Aid New Britain Firefighters -- Courant.com: "courant.com/community/news/nb/hc-nebthermal0119.artjan19,0,7421918.story"
The New Britain Herald Sales Agreement May Be Signed Monday! 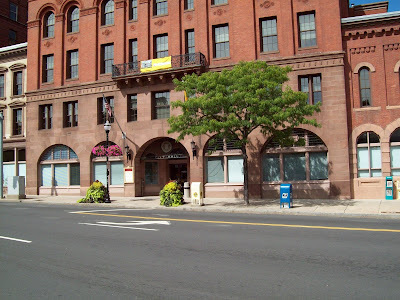 THE BRISTOL BLOG FEATURES NEWS AND INFORMATION ABOUT BRISTOL, CONNECTICUT. 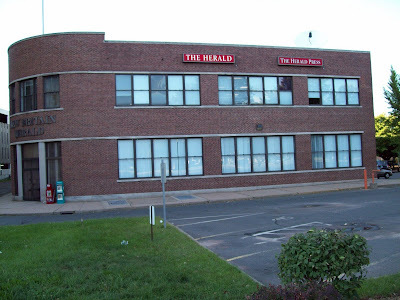 The word around the paper is that the deal to sell The Bristol Press, New Britain Herald and three weeklies to Mike Schroeder and his silent partner should be finalized on Monday. Let's hope the Journal Register Co., the current owner, doesn't find a way to muck it up. With the city of New Haven experiencing a tremendous financial success from their use of the plate finder, our City Council members have to be congratulated for there affirmative vote to the implementation of this boot finder program for our city. This will not only catch up with parking ticket Scofflaws but will also catch the many that owe outstanding motor vehicle taxes to the city. The current outstanding uncollected motor vehicle taxes are approximately $16,000,000 including interest. Once the word gets around that cars are being booted or impounded, the city will experience long lines with people paying their outstanding parking tickets and uncollected taxes out of fear of losing the use of their cars like what occurred in New Haven. With the recent introduction of the Segway vehicle for use by the beat policeman and now the new plate finder is moving our police department out of the Stone Age when recalling the only way of communicating with each other or drawing attention to a fellow officer was rapping their night sticks on a telephone pole. Again, congratulations for the foresight of the administration, the Council, and Police Chief Gagliardi for the implementation of new ways in providing better safety for our citizens. TELL IT TO THE MAYOR NUMBER TWO! With the bad economy emerging that is hitting the taxpayers with the greatest financial problems they have ever seen in their lifetime. I found it to be a great time for the public to post whatever may be on their minds and you may do so anonymously. Please feel free to post whatever you feel may be important to the people of New Britain. Simply click on comments link below to leave your message. Thank you for checking in to review my postings and please feel free to check back frequently to read comments that may have been posted by residents of the city. I also have many stories in the works as well. 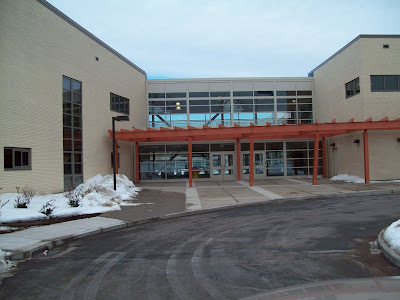 © 2009 newbritainherald.com, a Journal Register Property"
The New Britain School Board Adopts Its New Budget! Without singling any member for their comments but comments were made that the proposed budget by the Superintendant was “a responsible budget”. Agreeing, with their affirmative vote, every penny of spending was needed. An increase of 7.8 Million dollars being proposed, with this new budget, considering the current bad economical times our taxpayers are experiencing. Many layoffs and bankruptcies face our workers. By the administration’s own documents presented to the public they indicate a lower student enrollment but request additional teachers to be added. Why? The Mayor and the city council members will have the awesome duty to scrutinize this increase with the current horrible economical times out taxpayers are facing. 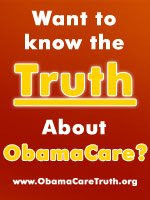 They will have their shot with three upcoming budget hearings to be held on February 9th. , March 23rd. , and April 13th. The Proposed 6.6% increase to the current budget that is already too high must be carefully addressed by the city council. This Budget meeting of the school board can be seen on channell 95 Tuesday at 6 P.M.
Gaylord becomes seniors-only complex - The Bristol Press (bristolpress.com): ": http://www.bristolpress.com/articles/2009/01/13/news/doc496c0b0cda7af114177540.prt"
Aldermen ask for answers on fence - The New Britain Herald (newbritainherald.com): "URL: http://www.newbritainherald.com/articles/2009/01/12/news/doc496c08c3297d3280702999.prt"
THE MATTABASSETT DISTRICT COSTLY VENTURE ! 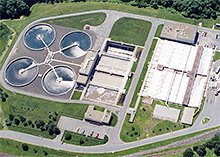 In a statement to The Hartford Courant,today, The Chairman of the Mattabassett Sewer District indicated that he sent a letter to the Federal Government requesting financial grants for a sum of Eighty Million dollars for the denitirfication project that is mandated by the state department of environmental protection in order to accept the Middletown waste water system into the District. As a former member of the Board of Directors I recognize that in the event,state or federal funding is not available for this project, the district can still accept Middletown as a contractual member as authorized by its charter. The District’s charter ALLOWS the Directors the authority to enter into agreements for the acceptance of waste waters from abutting areas. That was done years ago with certain areas of Middletown, The Hartford MDC for parts of Newington, and Farmington without obtaining or consulting the owner towns of the District, New Britain, Berlin, and Cromwell. Therefore, the board can accept the additional Middletown influx to its plant without consulting with or obtaining approvals from each owner. Therefore, the Board of Directors can proceed by utilizing its authority granted by the State Legislature to issue bonds for the cost of this project in the event no state or federal grants are made available to the district. A $80,000,000 project cost bonded for a period of twenty years at an assume rate of 4% would cost a total of $116,348,220 to be shared by the owners of the district and if in the event Middletown does not share in this cost formula New Britain’s share would come to an approximate 70% a sum of $81,443,754 or an annual cost of $6,786.979 for this bond financing in addition to its share of the ongoing operating cost. I strongly urge that the legislative authorities of the three owner towns of the District to get involved before the Board of Directors of the Mattabassett District issue such a bond creating a tax liability to all the residents the District serves. The PC Lounge: A Unique Local Computer Service Provider! 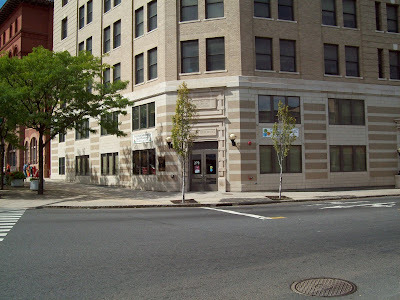 Besides being known as the Internet Cafe’ offering coffee, sandwiches using Boar’s Head Quality Meats, and soups, a real hidden value is in the rear shop that provides expert computer repairs, sales of used computers and laptops which is located at 14 Washington Street, New Britain. They also offer new computer equipment of all major brands as well. Its repair shop is managed by Mr. Scott Scarlett with over twenty years of experience in this field (shown in photo number 4 above). 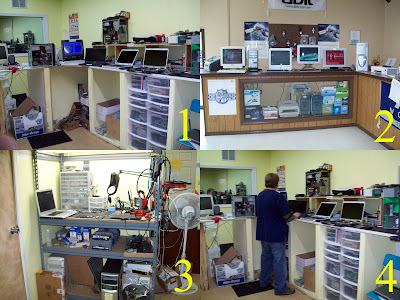 The owner of this operation is Mr. Angel Delgado who has over twelve years of experience in computer repairs and designs (his work station is shown in photo #1). This unique computer shop offers repairs & sales, software; customize computer systems, network solutions, web designs, backup-analysis, virus removals, accessories, corporate solutions & sales, customizing internal office system solutions, and repairs for all major brands. They are capable of designing and building a computer to fit your specifications or need. If you have a problem with your computer, their diagnostic fee charge is the lowest in the area at $30--which is deductible from the service charges for your repair should you decide to complete the work that is recommended. I was also amazed to learn that they charge only $120.00 to repair a computer that has been infected with a virus which includes reinstalling all your data and files after the virus repair is completed. The soldering section of the shop, as shown in photo number 3, is where laptop repairs are completed that usually requires soldering of replacement parts. As you walk into their show room (shown photo number 2) you can see the many upgraded used computers and laptops on display for sale with many priced in the low one hundred dollar range. There are many used computers that would be ideal for a child to learn how to use computers on. They also offer the use of on line computers for a low hourly rate together with copying and faxing services. Finally, New Britain now has an inexpensive computer repair service with 32 years of combined experience available to provide all your computer needs. THE RAZING Of THE PINNICLE HOUSING PROJECT IS A SLOW PROCESS! This is the 67 or so acres of land designated for new businesses to locate in New Britain that will expand the city’s tax base. It seems that there is no urgency for this project to be readied and prepared for its first occupant to establish a presence there. The city is in dire need to find new revenues in order to offset the state budget cuts and the demanding school budget increase request, but this valuable asset seems to sit dormant. In today’s Hartford Courant a report by Bill Leukhardt announced that the “New Britain Police Department could get a license plate scanner”. He furhter reported that when they tested the device here in New Britain for a period of ten minutes they found three cars known as “Ticket Scofflaws” owing the city a sum of $l,100 in outstanding tickets. As Frank Smith Says NB had posted on last November 5th. many benefits could be derived from employing this device for our city. Not only catching up with ticket scofflaws but unregistered vehicles, and wanted criminals that have outstanding warrants. Removing unregistered cars from our highways will be reducing the uninsured motor vehicle accidents within our city our insurance premiums will eventually be reduced accordingly. I wish to urge every member of the City Council to support the purchase of this device as being requested by our police department. NEW Britain WILL BE FACING A BUDGET CRISIS! The “Major Problem” that is facing Our City Council and the Board of Education is the promised budget cuts to our cities by the Governor of our state. Gov. Rell has announced that she plans to cut #280 million dollars from the state budget state wide which will require our school district to seek more funding from the city Council. Not knowing just how much this will affect our city since we do not know just how much the exact cut will be rendered to our school district. It is therefore a must for as many citizens taxpayers to attend the planned budget hearing scheduled for 7 P. M. next Monday January 12th. It is assumed that the Mayor, Council members, and the district board members will be in attendance for this conclave. We all know that with the adverse economic problems that our taxpayers are currently facing with unemployment and the higher cost of living for their families’ up keep they can ill afford an increase to their property taxes that will occur if the council approves the board’s request and then to subsequently get hit with the reduction of state funding for education as promised by the governor requiring more money from the taxpayers. State representative Tim O’Brien has been working fervently at the legislature attempting to secure the necessary state funding for our school district he must be commended for his untiring efforts with this issue. Mr. Michael Schroeder has a purchase agreement with the Journal Register Co. for both The New Britain Herald and the Bristol press along with the weekly papers that include the Newington Crier, The Wethersfield Post, and The Rocky Hill Post. all the Newspapers throughout our state made their announcement of this great news for the New Britain and Bristol areas. 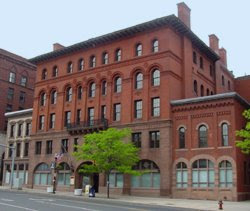 The entity making the purchase is the Central Connecticut Communications a corporation which was formed to facilitate the purchase and is owned by Mr. Schroeder. Another development announced today by the Record-Journal that have made an agreement with the The Republican Company of Springfield, Mass to do their future printing of their newspapers allowing the layoffs 17 full time employees and 28 part time positions and that seven full time and four part time employees in other departments will also see their layoff slips. The Record-Journal is only part of the story or example that all the newspapers are facing with the sad drop of readership and advertising due to the bad economic times they are all facing. Buyer Found For Newspapers In Bristol, New Britain -- Courant.com: "courant.com/business/hc-paperssold0107.artjan07,0,6115735.story"
Leaves and Pages: West Main Street’s Real Attraction! Leaves and Pages is a convenient store located at 59 West Main Street but retains a hidden historical value because in addition to coffee, tea and etc. 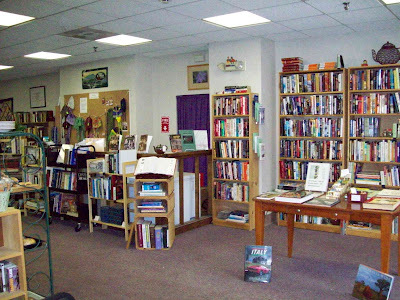 it offers volumes of historical books, old New Britain post cards from the past, children’s books, and many small inexpensive gifts. Arlene & Dan Palmer have operated this establishment for the past eight years and successfully turned its atmosphere into a family gathering type of socializing with all who venture to enter this pleasant and very different wonderful place. In addition to the many areas to congregate they also offer a meeting room for those who may wish to hold a private affair. With my first arrival, I was immediately welcomed as though I was a long lost family member that reappeared and all the customers there played a big part of the warm welcome. pastas, and jams for your love ones. If you should desire to be welcomed with a home type atmosphere while enjoying your coffee and reading your paper, then the “Leaves and Pages” is a must on your list to visit. The magnetic atmosphere of this location will draw you right back for your second visit, again and again! Mayor Mike remembered by his friends - The New Britain Herald (newbritainherald.com): "URL: http://www.newbritainherald.com/articles/2009/01/05/business/doc4962caf6aaa87277741433.prt"
Stocked and ready to meet the need - The New Britain Herald (newbritainherald.com): "URL: http://www.newbritainherald.com/articles/2009/01/05/news/doc4962c70e9dc87291969657.prt"
The Superintendent of the Board of Education submitted her proposed annual budget a sum of an approximate $126,000,000 representing a percentage increase over last year's of approximately 6.63%. With the economic problems our city is currently facing our City Council will have a difficult time to make the board's final request work. The state's final education grants have yet to be determined which may result with a higher increase to the aforementioned budget numbers. A Public hearing for this proposed budget will be held by the Board Of Education Next Monday the l2th. of January. I will submit more information in a few days. BRISTOLTODAY.COM: Bristol is "Ground Zero in the fight to save American newspapers"
© 2009 middletownpress.com, a Journal Register Property"
Osgood Pool Pantry Opens Tomorrow! 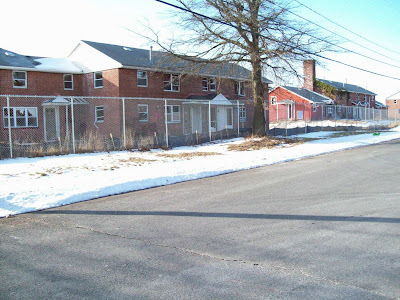 Another location that is planning to open sometime in the future that is located in the rear of the Salvation Headquarters, 78 Franklin Square, New Britain. This pantry is undergoing renovations and the planned opening date has not been determined as of yet. Funding for the food cost, for both locations, has been provided by United Ways food security collaborative for New Britain. 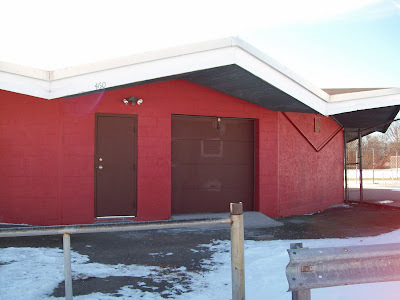 The Spanish Speaking Center’s North Street food Distribution point has been terminated until such time Mr. Mary Sanders is able to regain the state budget cuts. Let us hope that our state representatives are successful in convincing the Governor to replenish the center’s $100,000 cut. They have been serving food to an approximate 1,500 persons each month who live in the downtown area. With the major economical hard times facing our city’s poor all three locations should be a must and our Governor should recognize this dire need with her reinstituting the much needed funds to the Spanish Speaking Center. GREAT NEWS FOR NEW BRITAIN DOWNTOWN AT WEST MAIN STREET! 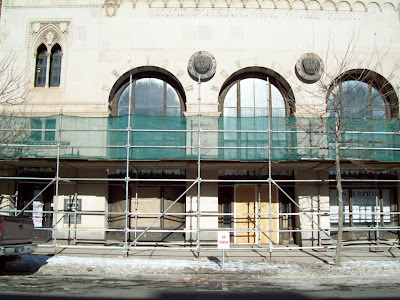 The old New Britain Bank &Trust Building located on West Main Street next to the City Hall Building is currently undergoing a complete renovation. This building will be converted into a downtown apartment building with the possibility of having commercial in its first level or two. This well is great for the city in creating additional downtown foot traffic. Hopefully, in reminiscing, could the foot traffic regenerate itself like it was some fifty years ago? Or could that be just wishful thinking? Let us all hope that the additional living accommodations will help to attract businesses that will locate at the pinnacle heights business tract and move New Britain forward as planned by our Mayor. Proposed Education Budget of $130,000,000--WOW! It is apparent that the school board’s budget that is scheduled to be presented this coming Monday night at seven o’clock will have a shocking revelation that some insiders are anticipating that the Superintendent will be announcing her proposed budget of $130,000,000. With the economic adversities as it is forecasted to last for a period of a year or two coupled with its unemployment problems; I strongly urge the city’s taxpayers to attend this meeting in order to prevent the all time historical increase to The Board of Education Budget. Calling your elected officials on the Board of Education would certainly emanate extreme caution, with their actions, when approving their final board deliberations. Phase Three of The Fairview Cemetery Never Ending Story! 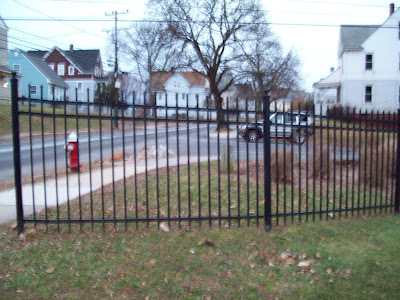 Recognizing the pending legal action and issues that still are pending there is not much that can be said of the resent episode with of portions of the fence being installed by the contractor or employees of the Park department? The Parks and Recreation Director, Mr.Bill DeMaio, should at least advise the public which enterprise made the recent installation of the few sections at the corner of Smalley Street and East Streets. I believe the public should know the exact facts surrounding this mysterious installation. It does appear that the taxpayers are footing the cost of this installation. The taxpayers and residents should also know as to when the completed installation is to be expected! And link them all together making New Britain a better place to live. Now the city is being blessed again with a new look about to take place on its Arch street area. 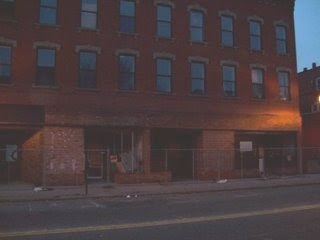 Yes; 85 Arch Street, a boarded up three story building, will be razed in order to make room for an Office, retail and apartments structure which will be owned by the Friendship Center of New Britain. Displacing the Vega building will be a dozen units which will accommodate our city’s homeless people along with some retail businesses in its first level. Let us all hope that the necessary financing will be all in place for this welcomed change that is about to happen for good of our city.